Endoscopy is playing an ever-increasing role in the management of acute biliopancreatic disorders. With the management paradigm shifting away from more invasive surgical approaches, surgeons need to be aware of the treatment options available to improve patient care. Our manuscript serves to improve surgeons’ knowledge and understanding of these emerging treatment modalities to expand their algorithmic approach to biliopancreatic disorders. 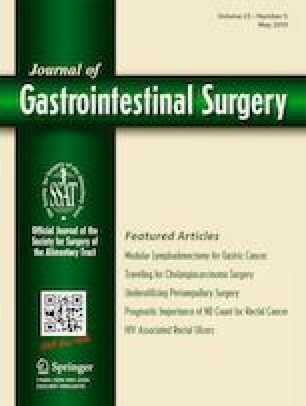 Specific acute biliopancreatic disorders were identified from the literature and personal practice to create a structured review of common problems experienced by a surgeon of the gastrointestinal tract. An exhaustive literature review was performed to identify and analyze endoscopic treatment modalities for these disorders. Endoscopic therapies continue to expand rapidly with a robust supportive literature. Data on endoscopic treatment strategies for acute biliopancreatic disorders demonstrate valuable improvements in outcomes in a number of these disorders. Acute biliopancreatic disorders represent one of the most challenging pathophysiologies that a surgeon of the gastrointestinal tract may face. This manuscript represents a review of available endoscopic instrumentation as well as the author’s interpretation of the current literature regarding indications and outcomes of endoscopic management for acute biliopancreatic disorders. Although this article does not supplant formal training in therapeutic endoscopy, surgeons reading this article should understand the role endoscopy plays in the management of acute biliopancreatic disorders. The content of this manuscript was presented at the SSAT/AAST/SAGES Winter Course GI Surgical Emergencies: Challenges and Opportunities January 20, 2018, Las Vegas, NV. Authors: Ryan M. Juza, MD has nothing to disclose; Eric M. Pauli, MD, Consulting and Teaching for Boston Scientific and Cook Medical, received honorrarium. Editors-in-Chief: Richard A. Hodin, M.D. and Timothy M. Pawlik, MD, MPH, PhD have nothing to disclose. CME Overseers: Arbiter: Timothy M. Pawlik, MD, MPH, PhD has nothing to disclose; Vice-Arbiter: Melanie Morris, MD, has nothing to disclose; Question Reviewers: Joseph Kim, MD has nothing to disclose; Luca Stocchi, MD, has nothing to disclose. Which of the following statements about single session ERCP and cholecystectomy is true? Each author has participated sufficiently in this work to take public responsibility for appropriate portions of the content.